Poe Foundation, Inc. - Support The Poe Museum! Give today and help us to honor and shape Poe's legacy! "I'm doing a report on Edgar Allan Poe and I wanted to learn more about his life." "As locals, we always walk by the Old Stone House so we decided to come learn more about Poe's life here in the city...and meet the cats!" "I've loved Poe ever since I memorized 'The Raven' in tenth grade!" 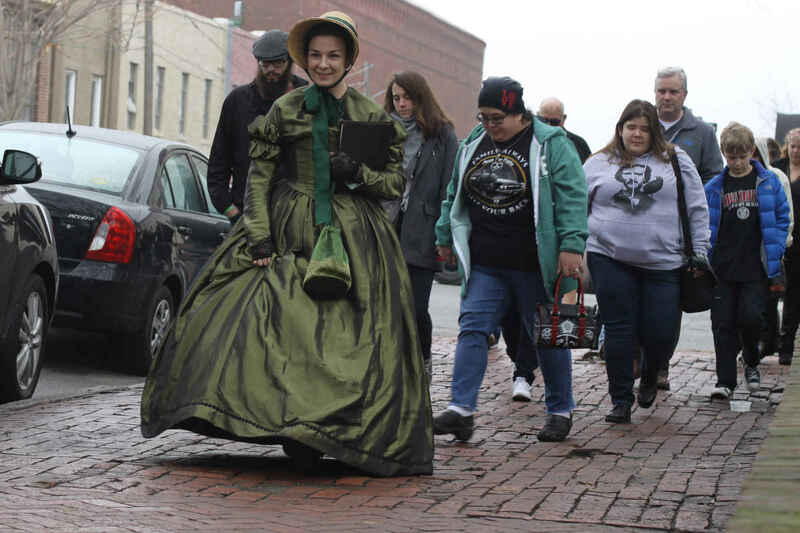 With over 35,000 visitors of all ages representing all fifty states and over thirty countries, our guests come to the Poe Museum for every reason imaginable. From events like Unhappy Hours to our resident black cats, Edgar and Pluto, the Poe Museum offers something for everyone. Poe's story and influence has changed the lives of countless many throughout history. This is why it is our mission to interpret Poe's life and influence for the education and enjoyment of a global audience: to keep the truth of Poe's importance alive. Become a part of this mission today by helping us continue to honor and shape Poe's legacy. For Zack, feline companion of Marya Olgas. Always remembered. We support the Poe Museum's efforts to showcase his life in Richmond and preserve his legacy and contribution to American and world literature. I am donating because I want to help keep the legacy of Edgar Allan Poe , the greatest poet of all time alive for all future generations to enjoy. This holiday donation is made by Teddy Matthes in honor of his English teacher, Mrs. Marie Fircz. I admire so much Poe! New generations deserve to know about him and his extraordinary work, thank you Poe Museum, keepers of Poe’s legacy.